Like all Resista brands, Resista Soft Style is made with advanced fiber technology that repels liquids for easy clean up. Special soft-to-the touch yarn technology gives it an extraordinary silky feel, while tighter twists and heavier weights offer exceptional toughness. Resista® Soft Style enhances color clarity creating brighter richer colors. 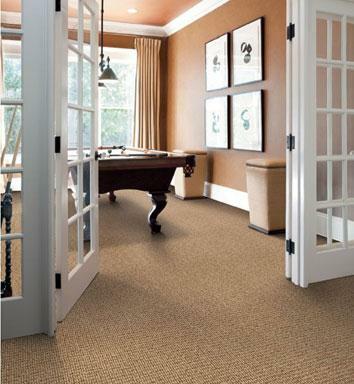 These carpets are available in hundreds of colors including popular berber fleck. Resista® Soft Style products are specifically engineered to provide outstanding performance and durability. Each product has been tested against similarly constructed carpets and has been proven to meet our strict performance needs. Resista® Soft Style combines comfort and lasting durability yet is soft to the touch - perfect for families. Resista® Soft Style is available in today's most popular styles - casual textures, fashion loops, and precision cut styles. Each is offered in a spectrum of decorator colors to meet the most discerning tastes.